The UKCN Board of Directors are delighted to announce the appointment of Anna Kear, as our new Executive Director. Anna has worked in housing since 1988 from leaving University. 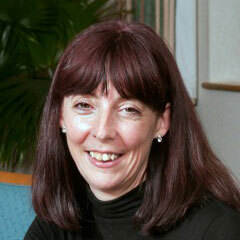 She has worked for a number of Local Authorities, Housing Associations and a private sector house builder. She has covered a range of jobs mostly in development project management, undertaking both regeneration and new build projects, urban and rural, as well having experience in housing management, finance, sales, planning and community development. Anna lives in Bath in a Victorian terrace with garden space shared with neighbours for food growing and keeping chickens. As well as being a keen gardener, Anna loves to cook for friends, family and neighbours. Anna started work on February 15th.